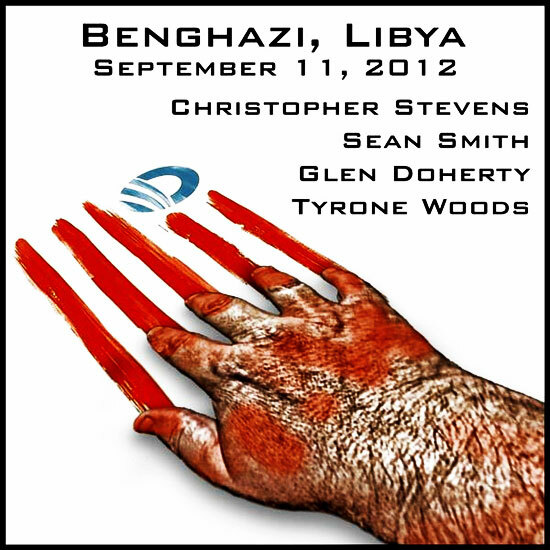 As a result of the May 8th House of Representatives Committee hearing on the September 11, 2012 attack on the U.S. Consulate in Benghazi, Libya three chilling conclusions can be drawn. First, the four Americans who were killed were abandoned by the very government they so bravely served. Days prior to the attack Ambassador Chris Stevens and others on his staff pointed out to the State Department that the security situation in Libya was deteriorating. There had already been a car bomb attack on the Consulate in Benghazi and an attempt had been made on the life of the British ambassador. Therefore, Ambassador Stevens wanted an increase in security personnel. Yet, despite these reports and the fact that the anniversary of the 9/11 attacks in 2001 was rapidly approaching these requests were denied and orders were issued actually reducing the number of security personnel already assigned to the Ambassador. Then when the attacks began on September 11th, there is clear evidence that there were American military assets in the area, including a four man special ops team in Tripoli, that could have been used to break up the assault and save American lives. Instead of immediately deploying these assets, someone in the Obama administration ordered a stand down and no help was provided to the Ambassador and his embattled staff at the Consulate. The second conclusion that can be clearly drawn is that the U.S. government knew from the beginning of the assault that this was a coordinated terrorist attack yet tried to hide this fact from the public for days. Instead of acknowledging that we had been struck by Jihadists once again on 9/11 administration officials, including the President and Secretary of State, claimed it was a spontaneous demonstration resulting from an obscure You Tube video critical of the prophet Mohammed that the demonstration somehow evolved into bloodshed. This was claimed despite the overwhelming evidence to the contrary. There are still more questions than answers and there will be more hearings, but the final inescapable conclusion to be drawn from this initial hearing is that the Administration, the vast majority of the Democrats in Congress, and most of the mainstream media don’t want the American people to know the truth. Their only interest is in protecting King Obama and his throne, and protecting his possible successor, Hilary Clinton. Instead of asking pertinent questions the Democrats on the committee spent most of their time attacking the Republicans and the valiant whistleblowers. Indeed, these elected representatives of “we the people” drew their swords and locked their shields together in order to form a bulwark between the truth and the American people. This is a direct violation of their oath of office where they swear to support and defend the Constitution of the United States. The founding fathers carefully crafted the Constitution to set up a limited Federal government with three separate, but equal branches that would provide checks and balances to keep one branch from becoming too powerful and plunging our nation into tyranny. By refusing to rein in the excesses of the Executive Branch of government these so called “lawmakers” are failing to do what they are tasked to do by the Constitution. This is not only an impeachable offense, but is subject to criminal penalties under the provisions of 5 U.S.C. 7311 and 18 U.S.C. 1918. As for the members of the national news media, they take no such oath but I contend that they are still bound by the duties imposed on them by the Constitution. The First Amendment provides for freedom of the press and the founding fathers placed it in the Constitution for a specific reason. They wanted a free press to be a watch dog over the Federal government to keep it from becoming tyrannical, lying to the American people, and taking away our God given freedoms. By refusing to dig for the truth about Benghazi and in fact assisting the Administration in the cover up much of the mainstream media has become nothing more than a propaganda forum for the President and his allies. They are no longer the standard bearers for a free press, but the disciples of tyranny. It is time for us to take back our country and hold the enemies of our Constitution accountable for their actions.